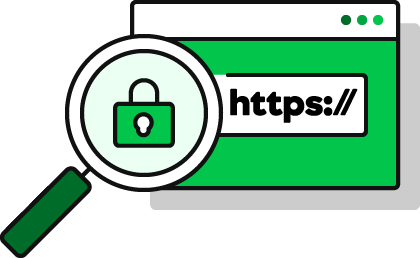 Although GoDaddy is still selling SSL Certificates for $55.99 per year for one site, they are free now and we install them on all our customers’ sites at no extra charge here at Dynamic Web Development. SSL encrypts the page and uses a key to un-encrypts it when the page is received. This is very important when purchases are made on the Internet because of the security of the credit card information. SSL also is included in Google’s algorithm for PageRank and as time goes on Google is giving SSL more weight. So now there is no reason not to have every page on every site secured with an SSL certificate (HTTPS).